Steele Creek is a neighborhood in Charlotte, North Carolina. The population is over 35,000 in this Mecklenburg County community. This area is made up of the original boundaries of Steele Creek Township. Today most of the Steele Creek township is located in Charlotte thanks to annexation, but some of the area is technically township of North Carolina. The Southwest community is named after a small creek and the Steele family, which is the group of people thought to be prominent Scot-Irish immigrants who settled in the town in the mid-1700s. Steele Creek is one of the first fifteen townships in the Mecklenburg County and was mostly a rural area until the early 2000s when the NC-49 was widened, and the I-485 was built through the area. These transportive improvements to the community were crucial to the town's success as the town, and the economy has grown exponentially since. The area's first reported school was open during the 1780s and homeowners can currently enroll their children in Charlotte-Mecklenburg schools. Lake Wylie Elementary School, South Charlotte Elementary School, Winget Park Elementary School, River Gate Elementary School, Berewick Elementary School, and Palisades Park Elementary School are admitting students in grades K-5. The Olympic Community of schools is an option when searching, Kennedy Middle School, South West Middle School, are admitting students in grades 6-8. 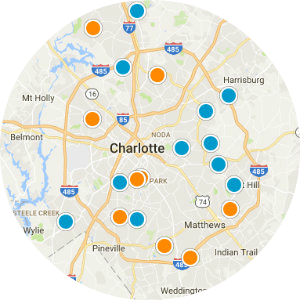 Any of these education institutions are excellent options for homeowners in the area due to the outstanding teachers and staff in the Mecklenburg School District. 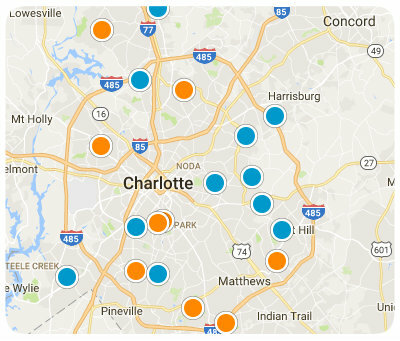 Future homebuyers are welcome at the Steele Creek branch library located on South Charlotte Road next to Southwest Middle. 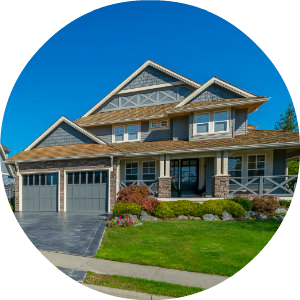 Buyers looking for single-family homes for sale in Steele Creek have many different style houses from which to choose. Neighbors can head to the McDowell Nature Preserve or the Thomas McAllister Winget Park for some well-spent time in nature. The community permits homeowners to use the clubhouse, the fitness center, pool, recreation center, tennis courts, and walking trails. Playgrounds are available and being next to Lake Wylie means all the aquatic features and activities of being on a lake are offered to homeowners in Steele Creek. There are 3,000 square foot residences sitting on 8,000 square foot properties; some of the homes provide buyers finished basements, fireplaces, and garden tubs in the master bathrooms. Future homebuyers can find gorgeous waterfront properties along the shore of Lake Wylie enabling themselves to watch the sunset over the lake sitting on their own home turf. 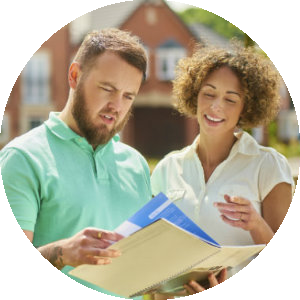 If you are interested in buying a home in Steele, Creek, North Carolina, please contact us today.